Many would-be international students experience the sharp shattering of their dreams as soon as they look at the attached price tag. You can pick up the pieces now! Finding the funds to attend grad school internationally is possible. The ever-growing numbers of students choosing to pursue degrees overseas is a testament to that fact. And most of them aren’t independently wealthy or able to cover costs from personal savings. That doesn’t mean you can sit back and expect your acceptance to an Ivy League school (or any league, for that matter) to secure the money for you. 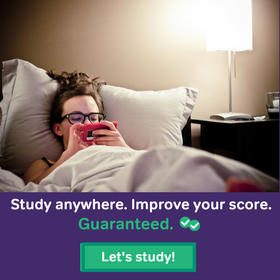 There is some work involved; you may even have to pause your rigorous test prep to look at your options. Most universities in the United States and across the globe will enter the details of students into their financial aid databases as soon as they’re admitted. Some colleges will even send you a letter outlining the scholarships and bursaries they can offer you with your admissions letter. If you receive a full-ride from your first-choice school, your work is done. But it doesn’t happen often. On the other hand there are thousands of governments, philanthropists, and community organizations that put a high priority on education and are prepared to offer scholarships to promote higher education. Independent of your university’s financial aid office, admitted students should be on the lookout for scholarships. They come in all shapes and sizes and for all sorts of weird and wonderful reasons. When searching for scholarships, be sure to think big as well as small; if you’re from a developing country, search by region as well as nationality. And, if you have a unique skill or study focus, don’t leave those keywords out of your hunt. Family loans should spring to mind instantly, though some people are more likely to have a friend or mentor with money than family wealth. If you’re brave enough to ask, or you know your family is willing to assist, you’ll still need to check the legalities of such a loan or (better) gift. In the United States, loans over US $10,000 require a minimum interest rate (as determined by the IRS). But, family members can gift up to US $14,000 tax-free. If you are an Indian citizen, you’ll want to hope that it’s your family members that love you and can help as they can gift as much as they like without any tax. Your friends have an excuse; they’ll be taxed. You can be sure that every other country in the world also has similar laws, though the parameters will be different. Seriously though, family loans and gifts must still be treated with the legal respect you would give a bank; contracts must be signed and adhered to – or there could be serious consequences. Still, a lot of students (both those studying internationally as well as domestically) find that the following equation doesn’t add together nicely. It’s not that they’ve made unrealistic budgets, or they don’t have any family. It’s the simple fact that education anywhere in the world is expensive. 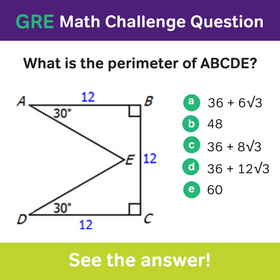 As you work through this math problem, you might notice that the two sides don’t equal each other. If they do, great! Go back to studying! If not, you’ll soon realize there’s a missing variable and it’s equal to loans. While you may not believe it just yet, there are a lot of loans out there. Being the savvy student that you are, you should know that not all of them are available to you and not all of them are good for you. But educational financing is part of every country’s economy, whether the money is backed by the government or private banks. You’ll find there’s a wide range of availability based on where you’re from and where you plan to study. For example some countries, such as France, almost automatically provide stipends to students abroad. American students can take advantage of government-backed loans overseas (as long as their institution of study complies with regulations). You’ll also find governments that don’t have the same resources and barely provide government funding for study at home. If the majority of graduate-level students require loans from private banks to complete their education at home, you can almost forget about the government giving you money to study abroad. Even if you don’t want to consider a loan from a private bank in your home country, it’s worth investigating. At the very least, you will uncover the amount they are willing to lend, the interest rate (or even better, the APR), and the terms attached to that money. It gives you something to compare against other loan products. But, they are likely to need something you don’t have – a local cosigner with a stellar credit history. Once again, if you have this person lined up, you can go back to studying as soon as you finish this post (and thanks for reading this far). In fact, depending on the university or program you choose, you may just have the cosigner that you need. Some universities actively recruit international students and may act as the cosigner for foreign scholars. It’s worth a call to the financial aid departments on your shortlist to see if you would qualify. It should sound like you have plenty of options and avenues – and, hopefully, you do. But there are plenty of banks that won’t lend to someone headed overseas. And there are many incredible universities that can’t act as cosigners for any number of reasons. While it’s frustrating, there are other options, and Prodigy is one of them. Prodigy Finance’s founders were in a tricky spot too. They’d been admitted to INSEAD, but had trouble finding the finances to make their MBA dreams come true. They managed; and they developed a new financing model to assist students to secure the loans needed for their international post-graduate education. The community-based platform accepts investments from alumni (and other investors) and loans this money to qualified (and admitted) grad students at top universities across the globe. Prodigy looks at future salaries of graduates rather than current financials which usually allows for better rates and larger amounts. Except for students from the United Kingdom (where Prodigy is registered), Prodigy only lends to international scholars. Graduate-level students from 150 countries can apply as long as their degree program is supported through Prodigy loans. While many of Prodigy-funded students had no other option for financing, several find their loans are more competitive than they’ve been offered elsewhere. 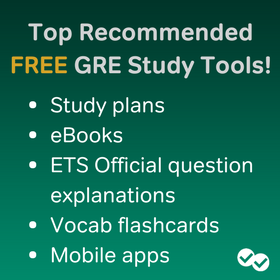 Start studying for the GRE! Seriously! Now you know that funding is possible, and you need to focus on getting into your dream school. The sooner you sit for your exam and submit your applications to your shortlist of international schools, the more likely you are to qualify for scholarships. And, if you still need to complete the financing equation after that, you’ll have more time to look at the fine print. So, is it verbal or quant today? I’m just curious… how common is it for international students to ask someone they know (not their relative) who is a US citizen to sign the loan as a cosigner. From the cosigner perspective, is it something that you won’t do unless he or she knows the student very well.